Fatboy Slim is bidding to headline another seafront spectacular in Brighton. Hove-based star Norman Cook is ready to top the bill at one of two concerts lined up for the city in September – with bigger crowds and more top acts than last year’s successful new year’s day gig. His promoter is thrashing out the details with council officers. He is now waiting for city councillors and police give him the go-ahead. But The Argus can reveal the city’s politicians are backing the idea of a fourth ‘Big Beach Boutique’. The 43-year-old DJ told The Argus: “It’s in the planning stages. We’re really hopeful it’s going to come about. Last year’s January gig laid the ghosts of the DJ’s chaotic 2002 concert, when 250,000 people descended on the beach and brought the city to a standstill. The concert in Madeira Drive was a huge hit and drew more than 19,000 people despite torrential rain and strong winds. While Mr Cook immediately called for a fourth ‘Big Beach Boutique’, he vowed not to try another winter concert. He suffered 15 electric shocks as rain lashed his equipment and branded the conditions the worst he had ever performed in. This time Crowborough-based promoter Loudsound Events wants to host 22,000 people per night on Friday and Saturday, September 26 and 27. To stop word of mouth swelling crowds to 2002 levels, tickets would be sold in advance. The system used last time, where only people with a BN postcode could apply for tickets, could be repeated this year. Both gigs would stop by 9.30pm, with the promoter bearing the cost of the clear-up. The line-up for the second gig, which would not feature Fatboy Slim, has not yet been announced. Council leader Brian Oxley said Brighton and Hove would welcome another Fatboy Slim show. He said promoters had proved last year they could overcome the fears of a repeat of 2002’s ‘Normstock’ debacle. Labour group leader Coun Gill Mitchell called for organisers to ensure residents who are not going to the event have access to the beach from Marine Parade in the build-up and aftermath. Coun David Smith is expected to give the city council’s culture, recreation and tourism committee an update on talks with the promoter at a meeting on Wednesday. 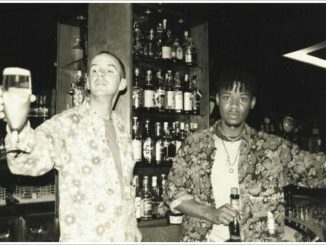 The first Big Beach Boutique – named after the Big Beat Boutique club nights from which Fatboy Slim rose to stardom – saw 35,000 people gather on the beach and spawned a live album. But the following year advance publicity saw 250,000 people arrive, overwhelming emergency services and the city’s infrastructure. About 160 people were injured, many in crowd crushes, and 26-year-old Australian nurse Karen Manders died after falling 20ft from the upper esplanade. Chaos followed at Brighton railway station as thousands of people tried to catch the last train to London. The beach was also left strewn with rubbish and broken bottles. Plans for a smaller-scale concert in 2004 fell through, and it was not until last year that another outdoor Fatboy Slim gig was staged in the city. The 2007 event was meticulously planned with park-and-ride bus services, a cordon to stop people crowding the promenade overlooking Madeira Drive, late-night buses after the last trains, and a team of litter-pickers and council cleaners in place to clear all roads by dawn the next day. Police made five arrests, and 20 people suffered minor injuries. Officers used Ion Track devices to search revellers for traces of drugs, but made no drug-related arrests. Afterwards, Chief Superintendent Kevin Moore, then commander of Sussex Police’s Brighton and Hove Division, said police would not oppose another concert. He added that the force would demand more stewards and more police for a summer event. GO ON THE FATBOY,LUVVIN YOUR WORK! fatboy was in Hungary, the show was awesome! 😛 we’ll be there on September! 😎 Zenit! elÃ©g rÃ©gen Ã­rtÃ¡l ide, de ha olvasnÃ¡d, akkor lehetsÃ©ges, hogy van egy jegyÃ¼nk eladÃ¡sra.. Ã­rj ide: anima68@freemail.hu, nem nagyon hasznÃ¡lom, de rÃ¡ fogok nÃ©zni.